Decision Making: A High School Course or a Commitment to Critical Thinking? Steven Johnson wrote a thought-provoking piece on Medium recently, “Decision-Making Should be a Required Course in Every High School.” It is a compelling argument for skill building in decision-making through direct instruction of all high school students on how to think about and make consequential and complex decisions. As an educator and the Executive Director of a foundation dedicated to bringing decision making to youth education, I am delighted by his public call and hopeful it will bring much-needed attention to the topic. I also think that calling for a new course will not suffice. But mine is not just an objection to adding something without saying what we’ll take away. I wonder too about efficacy, long-term impact, and, of course, implementation at scale. The long campaign to introduce SEL (social and emotional learning) to schools has taught us several things, among them: good translational learning (applying the lessons to real life) and measures are hard, point solutions are necessary but not sufficient, and reforming the education system is long, slow, and fraught with implementation problems. But imagine how much less progress CASEL, Transforming Education and others would have made if they had narrowed their efforts to bringing an SEL class to all high school students. We’d likely have a few schools and districts that would have adopted the class, mostly in high SES (socioeconomic status) areas, but we would not have state-level policy commitments, K-12 scope and sequences, and parents and educators speaking with a new lexicon and holding a new set of expectations for all learners. The road to real reform is long and hard because it needs to be fundamental and integrated. Yes, we should be teaching decision skills, but we need to situate them within the already existent, though nascent, commitment to educating for Critical Thinking. I am not referring here to the thin version often limited to argument, reasoning, and analysis usually offloaded to English teachers. 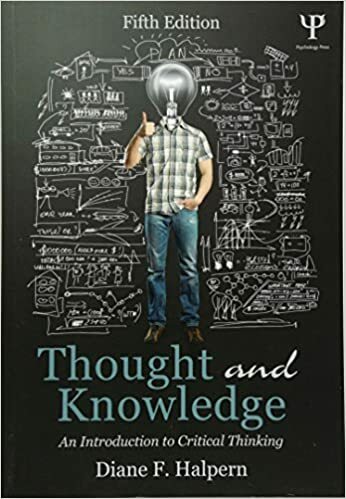 I am referring to a rich understanding of Critical Thinking, such as that proposed by Diane Halpern in “Thought and Knowledge: An Introduction to Critical Thinking” — “thinking that is purposeful, reasoned, and goal-directed — the kind of thinking involved in solving problems, formulating inferences, calculating likelihoods, and making decisions, when the thinker is using skills that are thoughtful and effective for the particular context and type of thinking task.” (p. 8). This rich version of Critical Thinking deserves, and would be supported by, a K-12 scope and sequence, along with appropriate assessments, woven into every subject. It will require changes in both the content, the “what” that is learned, and pedagogy, the “how” of teaching. Students need direct instruction and practice with the skills of critical thinking. They need to develop the disposition for effortful thinking and learning. Teachers and curriculum developers need to direct learning activities in ways that increase the likelihood of learning transfer. And teachers need to make metacognitive monitoring explicit and overt. Critical Thinking as a content area already includes all of the topics mentioned by Steven Johnson in his thoughtful piece: “how to build a nuanced map of a complex decision; how to design a scenario plan and a premortem; how to build a weighted values model (a kind of updated version of the classic pro-and-con list.) They’d learn the importance of sharing private information when deliberating in diverse groups and the value of measuring uncertainty. They’d learn to seek out undiscovered options and to avoid the tendency to fall back into narrow, initial assessments. They’d learn the importance of being other-minded in making a hard choice and how reading great literature can help enhance that faculty.” They would also learn about cognitive biases, estimating subjective probabilities, and how to critically consume the news. Educating for Critical Thinking is a more robust, meaningful, and practical reform than adding a single high school course in complex decision making. It is a contemporary commitment of education, promulgated as part of the 21st Century Skills model, the College & Work Readiness initiatives, and the oft-noted 4 C’s (Critical thinking, Communication, Collaboration, and Creativity). It has a substantial and growing body of research, conceptual frameworks, teaching resources, interventions, and measures. It’s worth considering too that someone with strong Critical Thinking dispositions and skills would readily take up the tools of complex decision making. Whereas someone without Critical Thinking dispositions and skills would likely gain very little from a one-off high school course. If we can get both, great. But if you had to pick between (1)Everyone learns to think critically in and across the entire learning experience in the rich sense used here, and (2)Everyone gets a high school course in decision making, which one would you bet would ultimately lead to improved decision makers and better lives? I am writing this essay in support of Steven Johnson’s public call for decision making to be part of youth education, to say that we need to be more ambitious and pragmatic, and to invite the public to join us in calling for decision making to be part of youth education. The How I Decide Foundation is committed to the mission of decision education for youth and would like to identify, coordinate, and amplify the work of anyone connected to making that happen. A decision-making course has been a strong option in our considerations, and Steven Johnson’s essay is the best public argument we’ve seen to date for it. Examples of a current course would be very valuable to us. So too would be educators experimenting with such a course, researchers interested in evaluating interventions, and donors willing to support schools attempting it. We are also looking for examples of decision making being taught within the framework of Critical Thinking. One way you can help is to point out examples. Please sign up for our newsletter, follow us on Twitter @HowIDecide, or email me at Joe@HowIDecide.org to share your point of view, suggestions, or news about anything good going on in the field. We strongly agree with Steven Johnson that decision making needs to be taught. We’re building a movement to figure out how and to make it happen, and we could use your help.